Idioms and phrases are the best ways to upgrade from the old lame day to day vocabulary, and today I’ll help you decorate your vocab with some FIRE IDIOMS. The English language has so many idioms that it’s not just possible to learn all of them in one go. So, today we’ll learn a bunch of fire idioms and phrases. • All of a sudden his car caught fire. • This wood isn’t dry enough to catch fire. • After the first innings, the match caught fire. • Despite many efforts, the show couldn’t catch fire and gradually the TRPs started falling down. • Due to the shortage of funds, we had to hang fire on the new project. • Jen and Michael got into a big fight last night and now they are hanging fire on their wedding plans. • They were on fire to prove themselves in the competition. • Sam is on fire in his new job; he’ll get promoted in no time. • He was ready to go through fire and water to win her heart. • The opposition leaders were quite sure that the demonisation policy would misfire. • The plan was to surprise her but everything misfired and she got angry. • When it comes to going out for parties, Nancy becomes a ball of fire. • How dare he comment that I’m too dull; he is no ball of fire himself. • Why are you running so fast? Where’s the fire? • तुम इतनी तेज़ कहाँ भागे जा रहे हो? इतनी भी क्या जल्दी है? • His outrageous comments always draw fire. • The new advertisement of a leading cold drink brand drew a lot of fire for being controversial. CLICK HERE to learn some more FIRE IDIOMS. 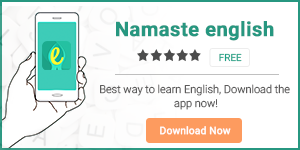 Download our English learning app Namaste English to Improve your vocabulary and English speaking skills.